The TBS Crossfire is a UHF system designed for people that demand the very best radio system available for their quads and wings. This is a Simple drop in module used to turn your radio into a robust UHF system that can achieve maximum range with exceeding reliability. 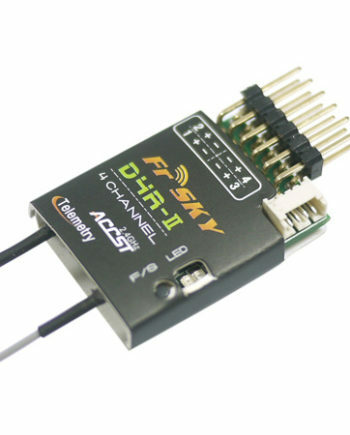 You will also need to purchase a TBS crossfire receiver to complete your UHF system. The TBS CROSSFIRE is a long range R/C link based on the newest RF technology, capable of self-healing two-way communications and range beyond comprehension. With a sensitivity of -130dB, full RF-side diveristy rather than just antenna-diversity, the features already implemented and the future upgrades to come make the TBS CROSSFIRE the only long range control link worthy of our times. Through the OLED Display on the transmitter, you can monitor the real-time location of your drone (TBS GPS or BlackBox with DJI Naza or APM-based GPS required). The up- and downlink status provide a feeling of safety, the configuration options through the OLED display do away with any PC-based configuration tools. The pulsing LED relays your link budget and link health in colorized form (green = keep going, orange = turn around). In case of a crash, the location of the drone is visible on the OLED as well. The built in battery on the receiver turns it into a beacon automatically – and it will continue to transmit its last known location until the battery runs out. Apart from unparalelled maximum range, the thing that we are most proud about on the TBS CROSSFIRE is that it just works. In the past, our question always was “could our R/C link keep up?”. Many missions were aborted, or lines weren’t flown, due to premature failure of the R/C link. Once we switched to the CROSSFIRE, all of these problems were gone. As long as we had video, we had control. And when the video was gone, we still had control – and telemetry. With the TBS CROSSFIRE comes peace of mind.